Our driver for UPS knows how to get my families’ customer service tails and referral tongues wagging! 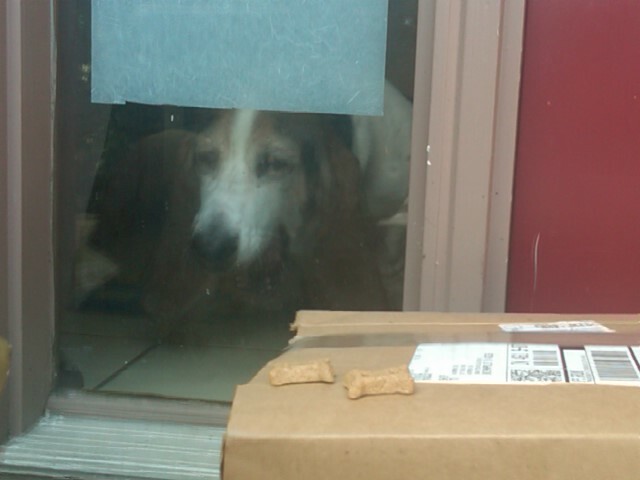 When he delivers a package, instead of ringing our door bell or knocking, he places two small dog biscuits on top of the package and allows our official basset hound door watchers, Bosley and Sophie, to announce with great throaty basset woofs that we have a package and they have a treat. It makes my family smile every time and it makes my wife and I choose to use UPS’s services to ship packages or to have packages shipped to us. I am only guessing, but my bet is that my UPS driver loves what he does and it shows! We love our hounds and we really appreciate our friendly UPS driver’s personal customer service touch. He has taken the time to figure out what we like and cares enough to take one small extra step to show that he knows what we like and that he cares enough to remember and to do something out of his way to make us smile. THAT IS GREAT BUSINESS! On-time package delivery is expected. Two small dog treats that lead to wagging tails and happy face is remembered and greatly appreciated. Sometimes it is the little things that end up meaning the most…a little biscuit of wisdom to chew on as we think about ways to improve our customers’ overall evaluation and memory of having experienced our services. What could you do to demonstrate to your customers that you know them, care about them and are willing to go out of your way to delight them with world-class customer service? This is true for internal as well as external customers. Does your personal brand when merged with your company’s brand give you a competitive edge? If not, what could you do to get your personal brand to shine as brightly as your company’s brand? Little things mean a lot. People don’t care how much you know until you show them how much you care about them. What can you do to show that you care about your customers individually? Old dog’s actually love to learn new tricks…especially if it means commission treats! Isn’t it time you start winning over the hearts as well as the minds of your customers? All it takes is a little attention to the details that matter most to them. 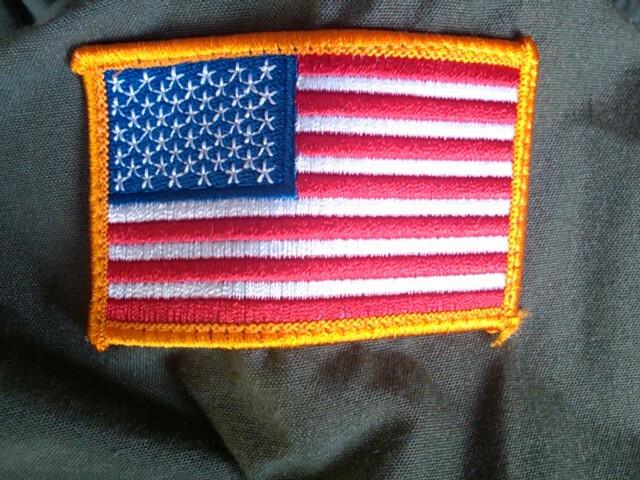 On a uniform sleeve of cloth and thread. Wherever your boots were asked to tread. Your compassion and might defended our ways. Each and every Memorial Day. What is possible if today is a perfectly blank page in your autobiography? What story will you write on this day’s page by how you choose to live your life? Will it be filled with drama or peace or hatred or love? Will chance or destiny make a surprise appearance? Will you look back on this day as a defining moment or as a mundane waste of time? 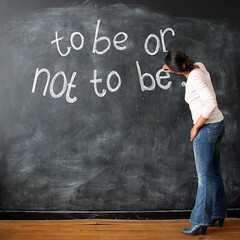 Do you view yourself as the author and director of your life’s story or do you see yourself as the lead character? Have you allowed others or events to crowd you out of your own story? Live your story well. Live as if today matters to you. Each day we are confronted with another perfectly blank page. Yesterday’s story is as bound by unalterable history as a decade’s old page. We can learn from our past pages, but we cannot change them and they have no power to direct what unfolds on today’s page. We do not know how many more pages we get to write. Life’s challenge is to make each page its own happy ending and new beginning. Write passionately this day, I was here, I mattered and this was my story! Enjoy each moment of this curious adventure called life. Be the author of your story of your choosing. 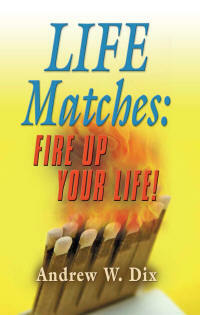 I hope you will choose to live it Fired Up!